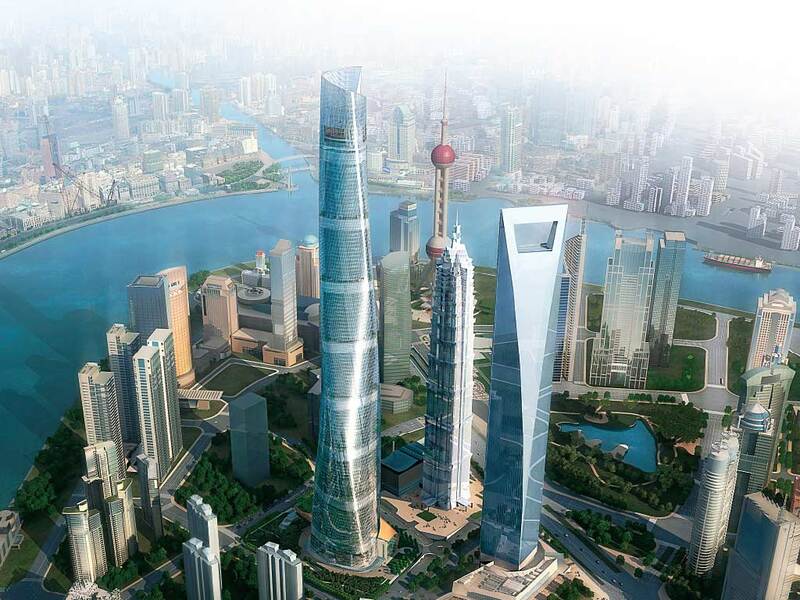 After more than two years of delays, Shanghai Tower – the most expensive building ever built in China – has now opened, with 60 tenants moving in. It was declared ready for occupancy by its architects nearly three years ago but has been mired in debt and building and fire safety concerns. This was partly because no building codes existed for some of its features. Costing some $3.2 billion and billed as having some of the world’s most technologically-advanced features – such as the world's fastest elevator – the 128-storey building is now home to some of the world’s and China’s biggest names in finance. Ingloriously dubbed a "ghost tower" due to never-ending delays, the building’s developers aren’t planning a high-profile opening. "We'd like to keep a low profile," Cheng Luo, a spokeswoman for the tower told Bloomberg. "We don't plan to have a grand opening celebration even if all things are ready because we've been exposed too much to the public." Known as the cork screw, the complexity of the tower includes its twisting double skin designed to reduce sway in the wind plus its fire-proof elevators. Its facade is made out of 20,000 twisted glass panels. The outer skin is ideal for allowing in natural light and cuts down on air-conditioning costs, but means much of the floor space can't be used. One criticism has been its highly-inefficient interior layout which makes tenants pay for large areas of expensive space which can’t be used. A luxury hotel, set to occupy 27-floors may still not open until next year. The building’s facade houses 270 wind turbines, which generate power for the building. Rain and waste water are recycled to flush toilets and irrigate the building's gardens.